What happens to the Olympic fleet? So the Olympics are over. TV is back to normal and London is back to its old self, with most of the Olympic lanes gone. But what of all the BMWs and MINIs seen wrapped in 2012 vinyl that populated them over the Games? It’s a question that’s been popular in the Ask HJ section, so we spoke the BMW to find out the fate of the Olympic fleet. 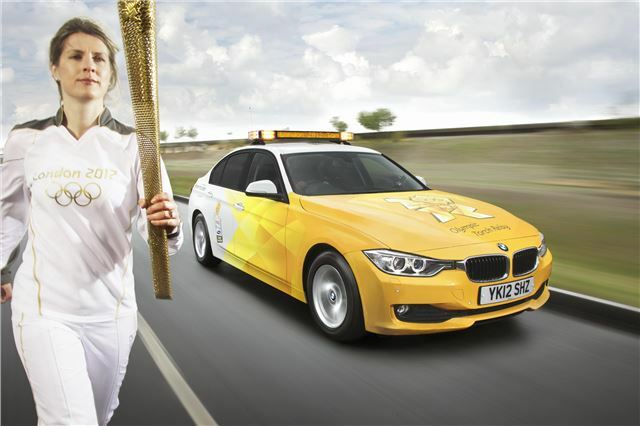 BMW Group, which includes MINI, supplied the official vehicles of the Olympics – they could be seen ferrying officials to and fro and following the torch as it made its way across the UK, and you could even see a ¼ scale MINI moving equipment around during the athletics. The vast majority of the cars will continue their service over the Paralympics, too. Over both the Olympics and Paralympics the fleet of cars is operated by LOCOG, but once the games end they’ll be handed back over to BMW. The cars, mostly 320d and 520d models, will be prepared in the usual manner to reach BMW Approved Used standards. But rather than simply flood the used car market nationwide with 100s of nearly new cars BMW will sell them gradually over a period of time to the people behind the games - the London 2012 organising committee and the Olympic volunteers – along with BMW’s corporate partners and employees. So if you were hoping there’d be a sudden influx of ex-Olympic cars appearing cheap at auction or on dealer forecourts, you’ll be sadly disappointed – BMW has no plans to sell the cars via the dealer network, nor to auction them, so if you’re looking to lay your hands on a historic Olympic car then you’ll have to bide your time. Nontheless, with the Paralympics around the corner you’ll get to see the exotically coloured Olympic cars around London again soon.